Norfolk is a truly beautiful part of England. My parents fell in love with Norfolk when I was a babe in arms and after 25 years worth of happy family holidays they settled in the area. I still live in Stockport with my family and we try to get down to our home-from-home in Sheringham as often as possible; to catch up with my folks and relax by the sea. There are many outstanding holiday locations nearer to our home; Wales, The Lake District & The Peak District to name but three. So, family aside, why do we feel so attached to Norfolk? The nearest beaches to us in the North West are in Wales and Blackpool. Of the two, we prefer the Welsh coastline; tranquility beats Kiss Me Quick Hats & The Pleasure Beach any day. So, why do we love the Norfolk coastline? We love the traditional beach huts that line the golden sands. The beaches are busy yet do not feel overcrowded. Graffiti and litter is a rare sight indeed and beach-side businesses are well presented. 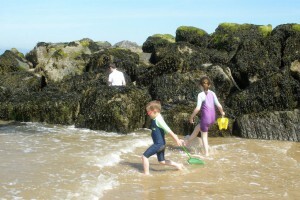 Sheringham Beach is perfect for burying dad or building sand forts. When the tide is out there are shallow rock pools begging to be explored. Through the winter months there is nothing more relaxing than walking along the front, watching the waves relentlessly roll inland whilst watching gulls soaring overhead. Cromer has a wonderful heritage pier; perfect for crab fishing or just plain sitting, watching the world roll by, and it’s possible to walk along great stretches of the coast following the Norfolk Coast Path. Aside from the more popular beaches there are plenty of smaller beaches to be discovered along the coast, like East Runton and Mundesley. Many of the beaches regularly win the Blue Flag award for their cleanliness & facilities and, during the summer months, have lifeguards on duty to keep you and yours safe. There are plenty of pretty villages in the Golden Triangle of Cheshire, yet none so picturesque as those found in Norfolk. 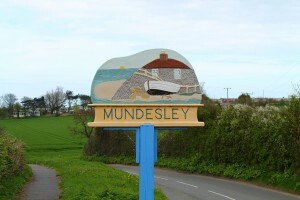 From the immaculately painted village signs to the tidy village greens Norfolk seems somehow unconcerned with the trappings of 21st Century society. It’s hard not to fall in love with the older properties; flint-faced with ruddy red Norfolk Brick and no two alike, making every lane & street as interesting as the next. In our experience there is a great respect for community, with neighbours looking out for each other and taking care of their patch. The local dialect reflects this caring attitude; it’s warm, welcoming and of those that speak it, it’s fair to say that still waters run deep. Norfolk bequeaths you that most valuable and elusive thing in our crushed, hectic modern lives: a sense of space. Norwich is a beautiful city with an awe inspiring cathedral and imposing castle museum on the hill. It’s a shopping destination by day, with a vibrant market, popular retailers and a dazzling array of smaller independent shops & boutiques. I would highly recommend a visit to The Forum. It’s home to the local BBC and has a timetable of events through the year. 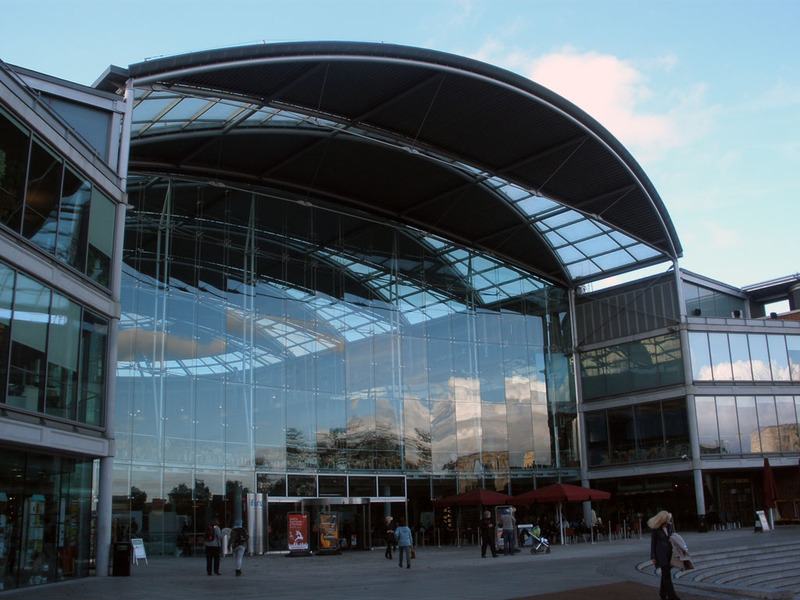 The modern building has a glass facade and visitors to the upstairs cafes and restaurants get an unparalleled view of the square and the church of St. Peter Mancroft opposite. Talking of food, you will be spoilt for choice, with a fine selection of bars and restaurants open through the day and evening. There are a selection of theatres, large and small, offering a selection of live acts. Parking is available for visitors by car, though the one-way system can be confusing for first time visitors. I would highly recommend letting the train take the strain and catching one of the regular services from Sheringham to Norwich. There are also plenty of park and ride car parks on the outskirts of Norwich for those who prefer to travel by road. Norfolk has some of the most diverse and interesting tourist attractions in the UK and offers activities to suit all tastes. From Norwich to the Norfolk Broads, big ticket attractions like National Trust properties, Theme Parks and Zoos to smaller attractions dotted around the countryside like Heritage Railways, Windmills, Lighthouses, Museums and Theatres. We are lucky that Sheringham has so much to offer for tourists right on our doorstep; The Mo, North Norfolk Heritage Railway, The Henry Ramey Upcher Museum and Sheringham Little Theatre to name but four. Norfolk is synonymous with The Broads and nearly everyone I know who has holidayed in Norfolk has spent at least some of their vacation on the water. Hiring a boat and spending a day on The Broads will redefine peace in your dictionary. There are plenty of local hire places around Wroxham and it’s possible to catch the train from Sheringham direct to Wroxham if you fancy ditching the car for the day and soaking in the stunning scenery along the Bittern Line. I would highly recommend taking a pair of binoculars and a camera with a good lens. 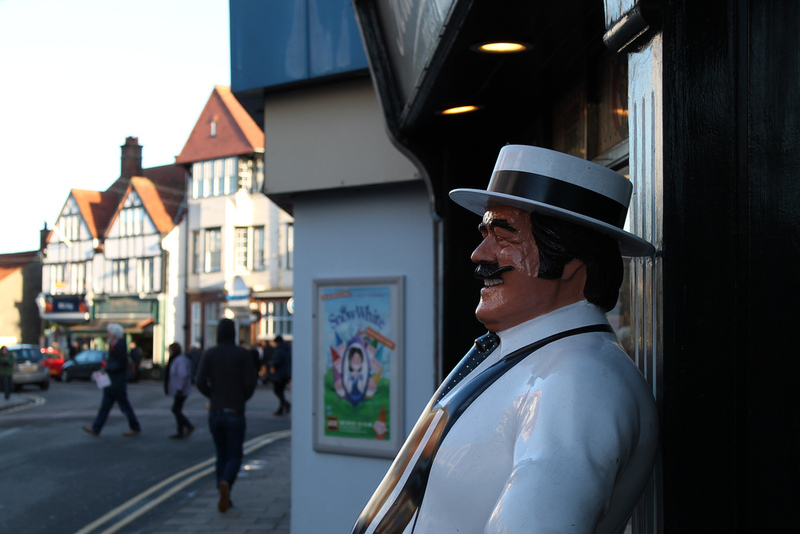 We love Sheringham High Street and purchase everything we can from the local retailers, from plumbing supplies to modern appliances. Nothing is too much trouble for them and as a customer I am made to feel important and my business required, whether I’m purchasing a light bulb or a dishwasher. 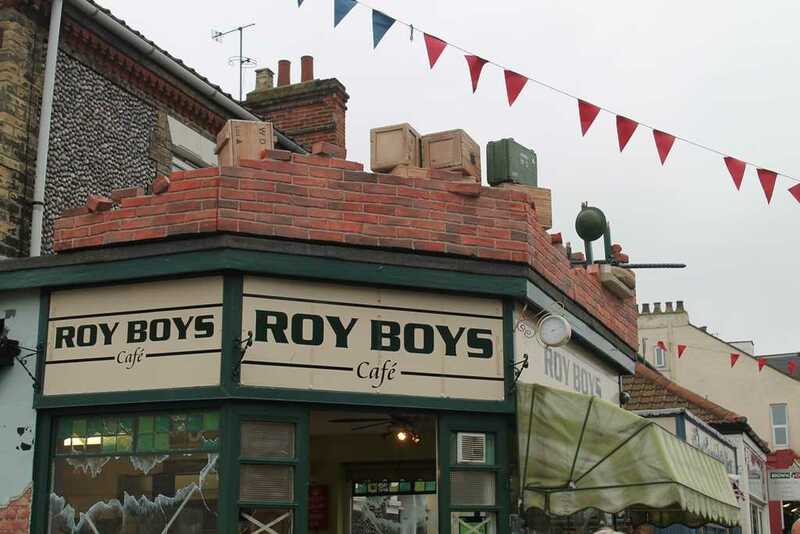 The smaller independent businesses are the hub of the local high streets and account a lot for the success of Norfolk as a holiday destination. 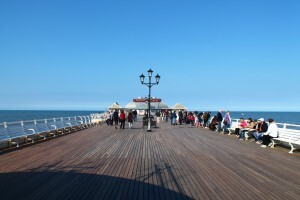 The mixture of local and tourist shops is kept in perfect balance in Sheringham ensuring that the high street is never quiet, whatever the season, yet having a holiday resort feel during the summer months. 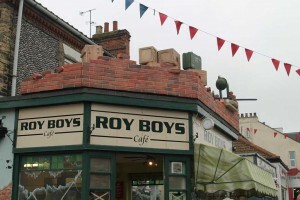 The local shops all get involved during community events, from Sheringham 1940s Weekend to the Christmas Lights. 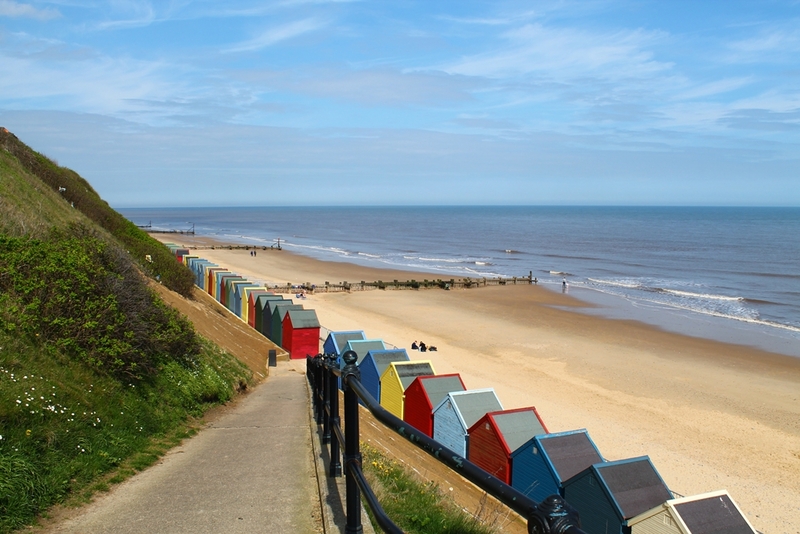 Norfolk benefits from less rainfall than many other holiday destinations in the UK so the odds are that you will get good weather during your stay, whatever time of year. The Norfolk Coast benefits from its easterly position and it is possible to see some serene sunrises and stunning sunsets during the warm summer months. Whatever the weather brings, there is still plenty to see and do in Norfolk. Carnivals can be viewed as being outdated or irrelevant. I beg to differ. The two biggest carnivals in the area, Sheringham and Cromer, pull together the local community like no other event. For two weeks the villages compete to entertain summer visitors. The friendly rivalry does not end after the bunting has been put away; the committees work hard to organise events through the year, including the Christmas Lights. There are plenty of places to dine out for all tastes and budgets. For a special treat there are plenty of choices in Norfolk from the Michelin starred Morston Hall, near Holt, to the White Horse in Brancaster. If you fancy a lighter bite in a great location we highly recommend Wiveton Farm Cafe, next to the marshes in the grounds of Wiveton Hall, or the restaurant in the Sandringham Estate. 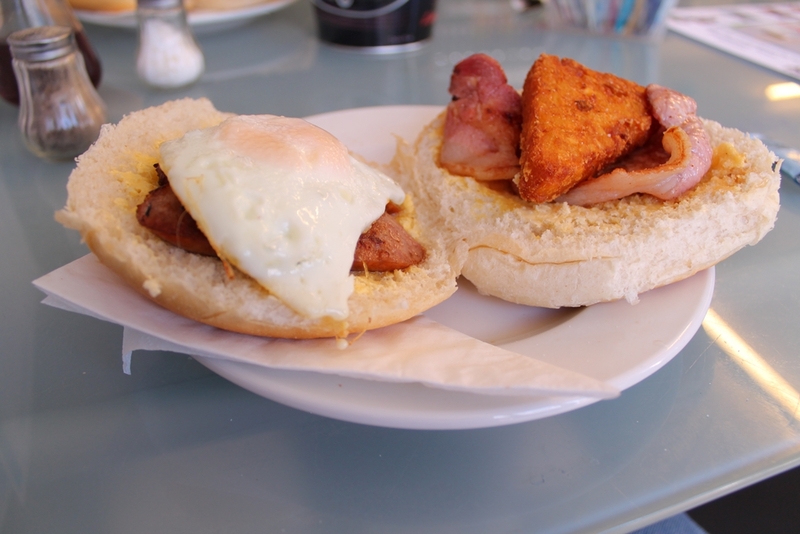 After a morning jog or stroll along the front you can’t beat a breakfast from a local cafe; there are two great ones on the doorstep of The Prairie; The Submarine Cafe (which does a fantastic breakfast-in-a-bap) and The Funky Mackerel (which has a stunning sea view). Both well worth a visit! 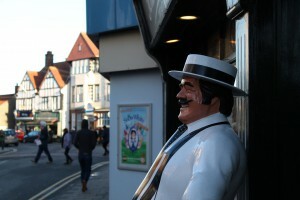 Our favourite two haunts in Sheringham are the Chai Yo Thai Restaurant and The Lobster Pub. I would highly recommend seeking out and trying any pub, restaurant or cafe that boasts a menu made from local produce, especially the seafood.